Nestled in the beautiful privately owned village of Framingham Pigot lies Brasted’s Event Venue, Hotel and Restaurant; the ideal and unique setting for your wedding. 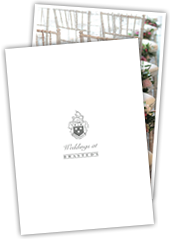 We offer an exclusive but genuine venue for those who wish for the individual attention that we pride ourselves on. Brasted’s Barn has its very own integrated bar, dance floor and terrace. With its light, airy and neutral décor is lends itself perfectly to any occasion.